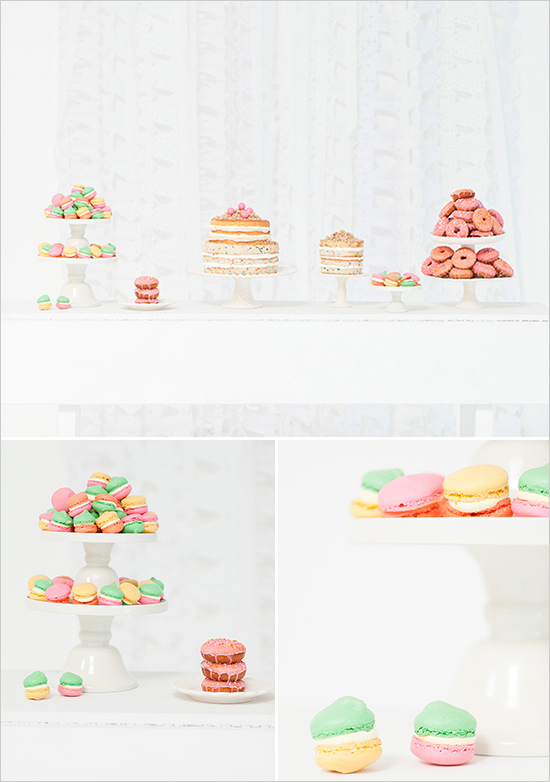 CAKEWALK BAKE SHOP: COLOR shoot on WEDDING CHICKS! Weeeeee! 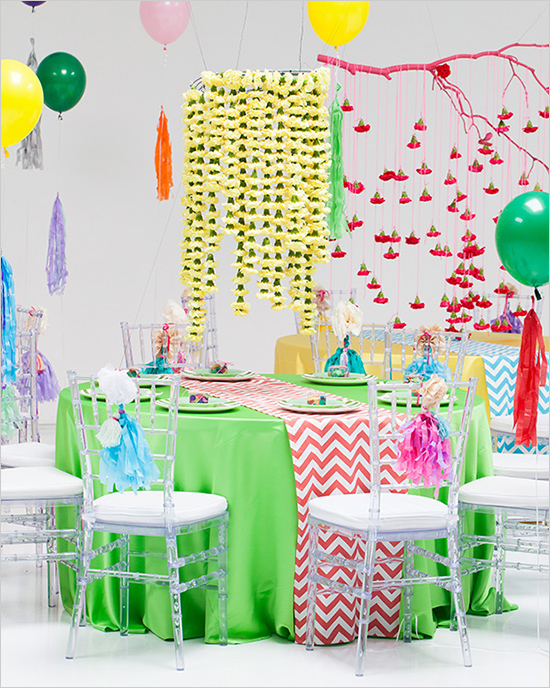 Inspired by a shared crazy love of color, whimsy and craft, we designed a photo shoot with Bows and Arrows that would celebrate these elements to the extreme! It has been one of my favorite projects so far and when you check out these gorgeous images shot by Ben Q Photography, your heart is guaranteed to double in size. Fo Real. This stuff is filled to the brim with merriment. Non-traditional in every way - incorporating ideas like these into your big day will surely make your event one to wow, charm, and remember forever ever. 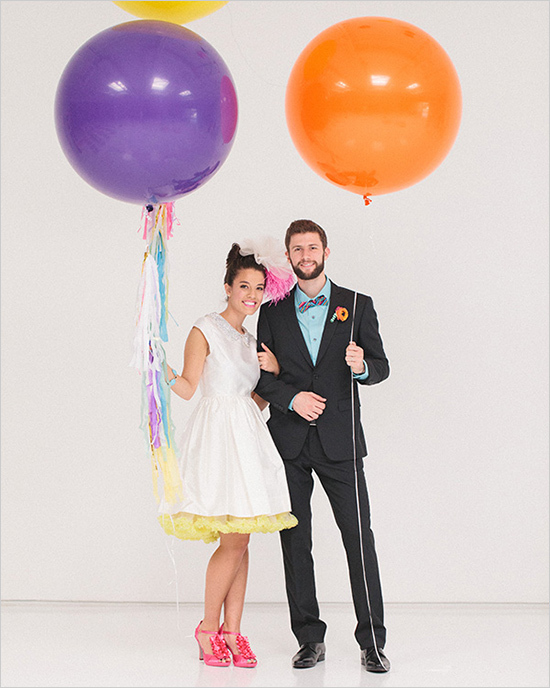 To make it even sweeter, the super rad blog Wedding Chicks featured our shoot this week!! To see so much more wonder, check out the feature here. How AMAZING is this reception decor?? Bows and Arrows literally turned the idea of a centerpiece on its head with these chandelier carnation installations that look like works of art. This adorable little favor box with calligraphy by Blue Eye Brown Eye holds one of our French macarons. 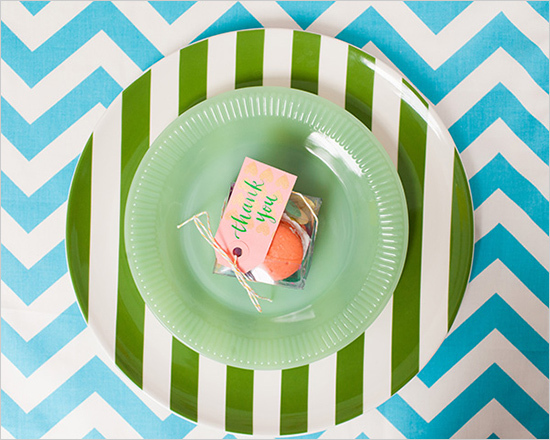 Cutie plating by Kate Spade with runners by Love Dove Rentals. 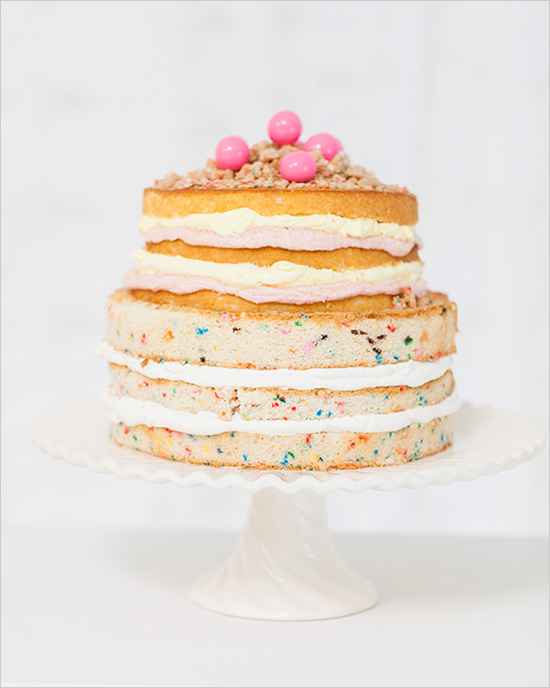 Our dessert bar is obviously inspired by color, but using asymmetry and stacking add lots of whimsy on their own. The donuts with strawberry glaze are a fun, playful touch - we LOVE unexpected desserts and so do guests! 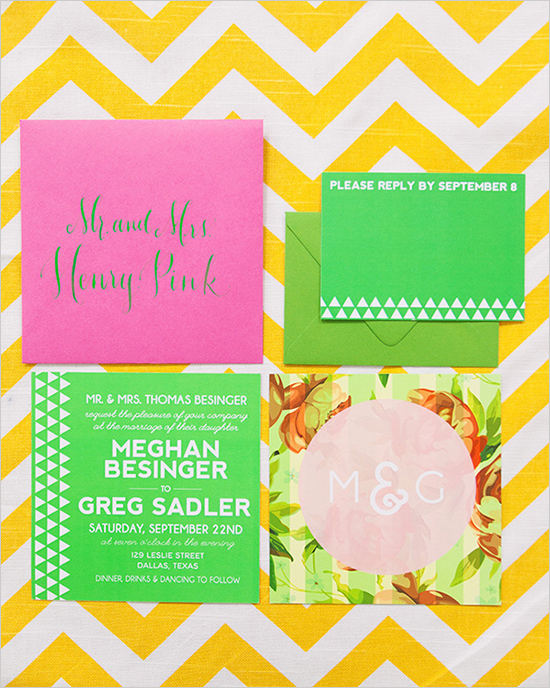 How INCREDIBLE is this invitation suite from Blue Eye Brown Eye?? That girl is so talented! 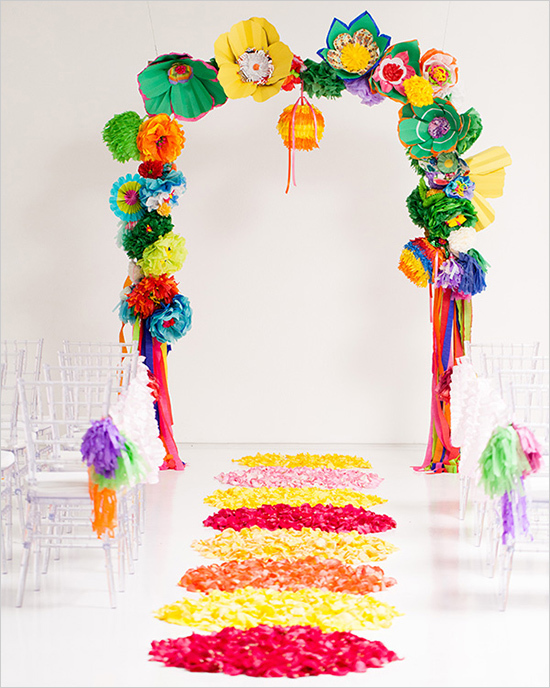 Super fun paper flower archway and a geometrical petal aisle crafted by fab Bows and Arrows, of course. Kirby Stuart, Bows and Arrows new Creative Director, is a fashion queen. She styled both the bride and groom! Love this Kate Spade dress and Ban.do hair piece! !